Creating your own hot water is a great way to save money on utility bills. 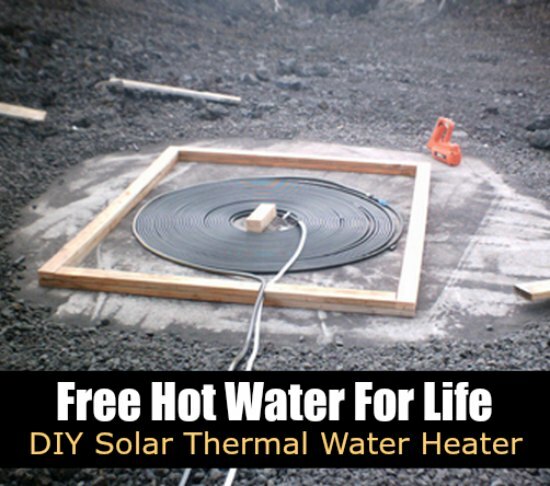 One option to do this is to have solar thermal water heater set up for your home. This is something you can easily set up by using a few basic materials that you may already have on hand. The key to a solar thermal water heater is having an existing storage tank for water. A hose is set up for heating the water that comes out of the tank. Black hose is the best option as it will get really hot in the sun during the summer. A solar thermal water heater is a great option for a warm climate. The reason is this system will require warm temperatures to keep the hose hot enough to heat the water. However, the cost is minimal for you to set up so there is little to lose to see how it works.